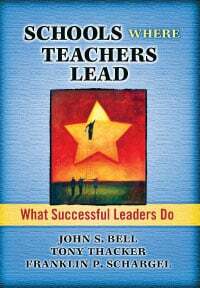 Develop shared leadership and teacher leadership in your school with the real-world, on-the-job ideas in this book. Principals and other leaders will embrace the practical Lead Now and Do Now strategies as they improve their own skills and promote shared leadership among their staff. Shared leadership is a process in which multiple staff members lead the learning within a school. With the knowledge that instructional leadership is the primary engine behind teacher effectiveness, the authors demonstrate how to support classroom practices that raise student achievement. Leadership: Does Anyone Ask the Teachers? Sharing the Leadership with Teachers – Can You Get There? When educators work together to improve instruction, they make a notable difference in the lives of students. This book offers strategies for incorporating shared instructional leadership into the structure of your school.